Which air miles schemes let you transfer to hotels? Almost all hotel loyalty programmes let you transfer you points into certain frequent flyer schemes. What is far rarer is for a frequent flyer scheme to let you transfer your points INTO a hotel programme. This didn’t used to be the case. If you go back 15 years, Hilton Honors had quite a few airline partners including American Airlines. Over the years the deals have fallen away. Of course, many airlines let you book hotels directly using your loyalty points. You can do this with your Avios points via the British Airways hotel portal which can be accessed here. It is not the greatest deal. You receive just over 0.5p per Avios point when you spend them on hotels this way. 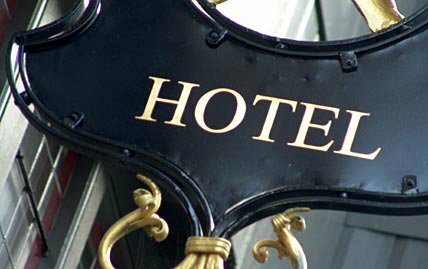 More importantly, because these are third-party bookings, you are unlikely to receive any status benefits from the hotel. You may not even receive points on your food and drink spend depending on the chain. Some chains only give free internet if you book direct. The other downside is that, because the number of Avios required is based on the cash price that night, there is no arbitrage. On a busy night you will need more points. This is not how the hotel loyalty schemes work. Lufthansa is up for a bit of everything. Lufthansa allows you to redeem miles at a truly shocking rate for Best Western or Radisson Blu gift cards. It also has a hotel booking portal which works in an identical way to the Avios one. Emirates has an odd scheme where you can redeem your Emirates Skywards miles directly for Marriott hotels, mainly in the Middle East, at fixed prices. This does create some arbitrage opportunities but the list of properties is eclectic to put it mildly. Here is the list of Marriott redemptions they offer. You can also redeem Emirates Skywards miles for ANY hotel via their partnership with Rocketmiles. Virgin Atlantic allows you to redeem your Flying Club miles for a selection of hotels offered by Kaligo.com. I ran through the maths on those redemptions in this article. There are also some Branson-owned hotels you can book directly with Virgin miles – although Necker Island (1.2 million miles for a week) is currently unavailable following hurricane damage. Full details can be found on the Virgin website here. You will receive 1.5 Hilton Honors points per Virgin Flying Club mile. Based on my 0.33p valuation of a Hilton point, you are getting 0.5p of value per Virgin mile. This is a pretty poor deal although, if you received the miles from business travel, you may be insensitive to that. It is certainly a poor deal if you obtained your Virgin Flying Club miles via credit card spend, Tesco Clubcard or American Express Membership Rewards transfers, because those miles had an opportunity cost. The only exception would be if you needed to top up your Hilton balance before a redemption. Full details can be found on the Virgin website here. The transfer rate is 1 IHG Rewards Club point for 1 Virgin Flying Club mile. IHG points can be redeemed for Holiday Inn, Crowne Plaza, InterContinental etc hotels. Based on my 0.4p valuation of an IHG Rewards Club point, this deal is also not great. Importantly, these transfers NO LONGER COUNT TOWARDS IHG STATUS following a recent change. As IHG Rewards Club is not an Amex Membership Rewards partner, routing Amex to Virgin to IHG is a potential compromise – albeit one which does not offer the best value for your American Express points. Yes, little Finnair also lets you convert your Finnair Plus points to IHG Rewards Club. Details are here. As Finnair is a partner with American Express Membership Rewards, this could be another way of indirectly turning Amex points into IHG nights. Unfortunately, the transfer rate is even worse than the Virgin deal. You need 2 Finnair Plus points for every 1 IHG Rewards Club point which means you are effectively getting 0.2p per Finnair point. If you happen to have 20,000+ Finnair points sitting unused then this is of course a ‘better than nothing’ way of using them but it is hard to recommend otherwise. These transfers have never counted towards IHG status. Le Club AccorHotels is the Novotel / Sofitel / Ibis / Mercure etc loyalty programme. The details of the Finnair deals are here. As with the IHG deal, it offers a complex way of turning Amex points into Accor points by routing them via Finnair Plus. It is hard to recommend it unless you have a very small Finnair balance to use up. It requires 7,000 Finnair points to receive 1,000 Accor points. The Accor scheme is ‘fixed value’. 2,000 points get you a €40 hotel voucher. That means you are getting €20 for 7,000 points which is roughly 0.2p per point! This is the most recent offer on this list. I was surprised when it appeared because I didn’t think airlines wanted to do this sort of thing any longer. Full details of the Qatar Airways conversion deal – and the detailed instructions on how to do it – are on the Qatar Airways site here. The ratio is 4.5 : 1, with a minimum of 4,500 Qmiles getting you 1,000 Accor points. An Accor point is redeemable for 2 Eurocents of free hotel room. This means that 4,500 Qmiles gets you €20 of free stay. This is weak at under 0.4p per mile although better than the Finnair to Accor deal. It also offers a roundabout way of converting Qmiles into Avios. Accor points convert into Iberia Plus Avios points at 1:1 (bizarre, since the conversion rate into BA is 2:1!). This means that 4,500 Qmiles would get you 1,000 Avios in an Iberia Plus account which you could then move to BA via ‘Combine My Avios’. This is only really going to be useful if you have a small number of Qmiles you can’t otherwise spend. There are a few ways of moving airline miles into hotel points. The value is generally poor, however, and it is only recommended if you are topping up a hotel account or emptying out an airline one. Apologies for the change of topic, but I just stumbled on something startling and wanted to see if anybody here knows anything about it, in particular whether it’s real or not. Apparently Best Western status can be used to match for British Airways status! It sounds too good to be true, so I’m presuming it’s fake unless I see something to corroborate it. BA never matches status unless your company switches to them from another alliance. Thanks Rob. I wonder what the motivation was of that person, to take the time to lie to random readers.